Dave Rubin is a classical liberal comedian and commentator. He’s also the host of the fan-funded YouTube talk show, the Rubin Report. 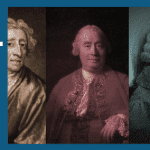 From the beginning, classical liberalism has been a big tent with a wide diversity of ideas inside it. Watch the full interview with Dave Rubin and Brandon Turner here . 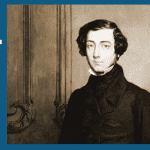 Alexis de Tocqueville feared that Americans would willingly give up freedom for a “soft despotism.” Full interview here.